Antique Persian Bijar rug of unusual floral design with excellent natural dyed colours. www.knightsantiques.co.uk Size: 7ft 5in x 4ft 10in (225 x 147cm). Circa 1880. The rug has excellent colour and design, the large scale floral design is most unusual and gives the rug an abstract feel. The very soft madder red field complements the soft pastel colours used in the flowers. The ivory ground border is also of a floral design. As with most older Bijar weavings this rug is on a wool foundation. 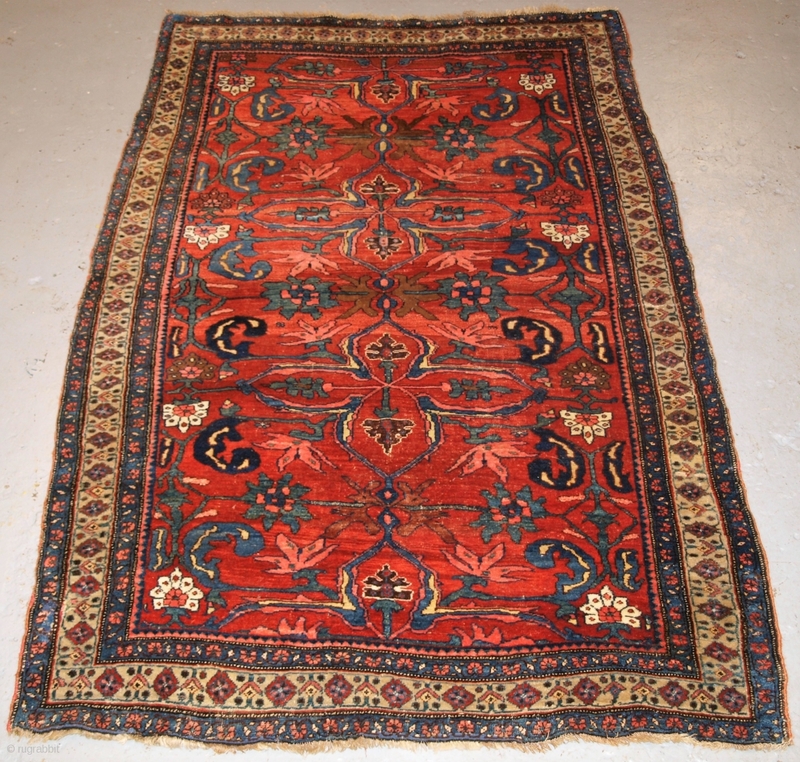 The rug is in excellent condition with slight even wear and good pile, there are a few spots of slightly heavier wear. The rug has been hand washed and ready for use or display. The rug is suitable for normal domestic floor use. Stock Number: aor-035.